After finding out you're pregnant with that little plus sign on a urine test, learning the gender of your baby is probably the second most exciting part of pregnancy! You'll probably want to know how you can find out yourself, and may even turn to a gender guesser tool before the doctor can officially share if your little one is a girl or a boy. 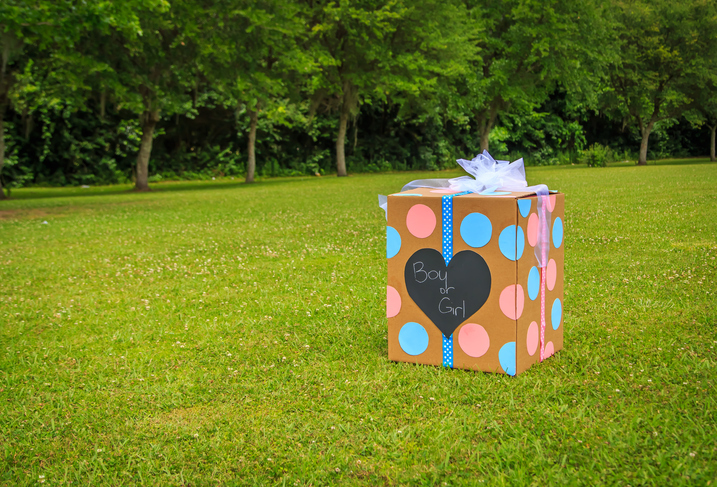 Before you even know, you might start thinking about a gender reveal party or photos. These are fun ways to share your big secret with everyone you love! Some people have a get-together where they cut the cake, showing pink or blue frosting or even colored candies in the middle. Others opt for a social media post, like a clip of letting the soon-to-be older sibling know if he or she is getting a little brother or sister. While old wives' tales like, "If the baby sits low it's a boy!" can be fun to listen to, there may not be much truth in them. They're great material for family jokes while you await the official word from your doctor! Keep in mind that you don't have to go all pink or blue for your baby's room and clothing. Having purple walls for a boy or blue for a girl is totally up to you. Boy or Girl? What Will You Have? Our Top 11 Gender Revealing Ideas Boy or Girl?